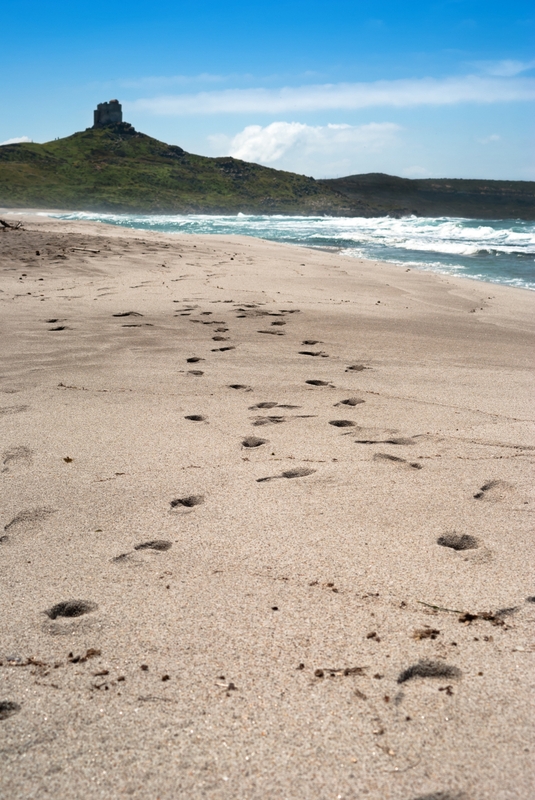 A strip of Sardinia that gives you the sensation of continuity between land and sea. 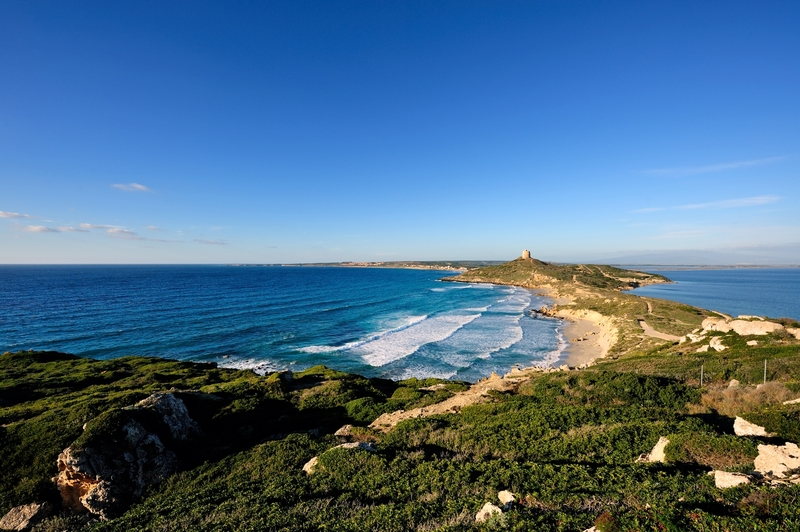 In the protected area of the Sinis peninsula and of the island of Mal di Ventre, established in 1997 and stretching for approximately 26 thousand hectares in the territory of Cabras, a multi-coloured collection of land and lake settings slope gently towards beaches and cliffs. To the south, the coastal strip from the promontory of Capo San Marco stretches, with the rocks and soft sand of San Giovanni di Sinis and the quartz sand of Mari Ermi, Is Arutas and Maimoni, as far as the cliffs of Su Tingiosu. 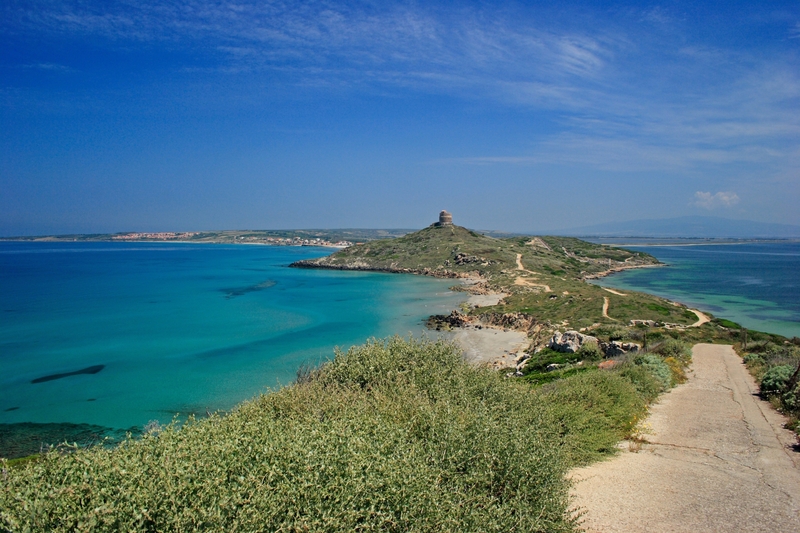 Slightly below Capo Mannu, which is the northernmost limit, you will find the Salt Pans and the beach of Putzu Idu. The quartz grains of sand of the 'coastal pearls' come from the decomposition of the rocks: a process that began 600 million years ago in Mal di Ventre. 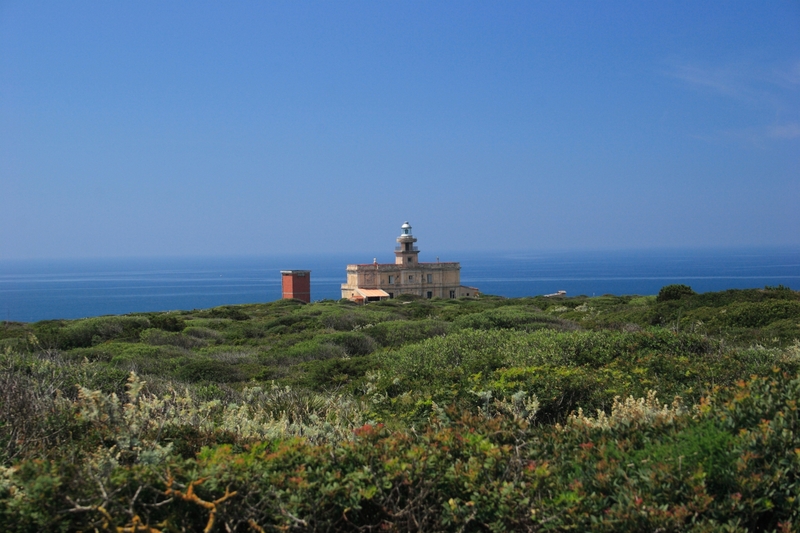 The island, along with the Scoglio del Catalano, connected by a granite tableland coloured by the coral, are a 'sanctuary of nature' where seabirds nest and turtles and cetaceans live. Sandy seabeds and expanses of seagrass are populated by fish, molluscs and crustaceans: underwater landscapes, ideal for snorkelling and underwater photography, thanks also to the presence of shipwrecks from every age: Roman and Spanish ships from the 20th century, among which a cargo ship 36 metres long that sank between 80 and 50 BC with two thousand ingots of lead. Sailing and diving are allowed in the 'open' areas. In the nearby inland area, the sand dunes give way to the Stagni di Cabras, a swampy ecosystem among the largest and most productive in Europe, populated by the greater flamingo. In the marine area, you will be able to do some fishing tourism on handcrafted boats or sailing on the routes of the Phoenicians. The Sinis, thanks to the northwesterly mistral wind, is also ideal for kitesurfing and windsurfing all year round. Otherwise, you can enjoy relaxing experiences in contact with nature, on foot or by bike. In order to trace the prehistory and history of Sinis, you can head towards southernmost extremity, to Tharros: it was a Nuragic village, a Phoenician colony, a Carthaginian port, an administrative centre in the Byzantine age and, lastly, the first capital of the Giudicato of Arborea. In the museum of Cabras, you will see one of the most extraordinary archaeological discoveries: the statues of the Giants of Mont'e Prama (8th century BC). The hypogeum of San Salvatore is also worth visiting and has always been the destination of a unique procession at the beginning of September: the Corsa degli Scalzi (Barefoot Race), one of the most evocative festivities on the Island.